Royal Caribbean has confirmed today that it has signed a contract for a third Quantum-class ship, to be built by Meyer-Werft in Germany. Details of the first ship’s innovative features, such as a sky-diving simulator, an observation capsule and dodgem cars – all firsts at sea – were announced only last month. Quantum of the Seas will launch in November next year and its maiden voyage, which went on sale this week, is a Transatlantic crossing from Southampton to New York. 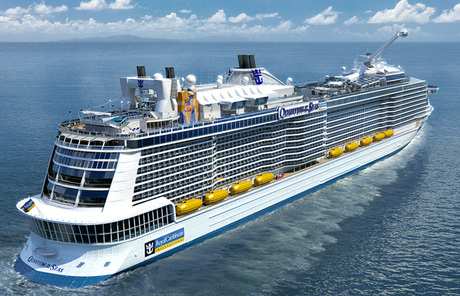 The second ship, Anthem of the Seas, is due to be completed in 2015 and the third will now follow in 2016. No name has yet been announced, but Royal Caribbean has registered Ovation, Passion, Pulse and Vantage of the Seas as trademarks. 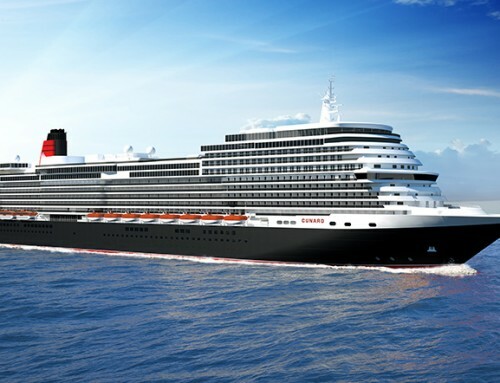 In its announcement, the company claimed the new design includes a greater proportion of higher priced staterooms, and achieves some of the greatest energy efficiencies at sea. 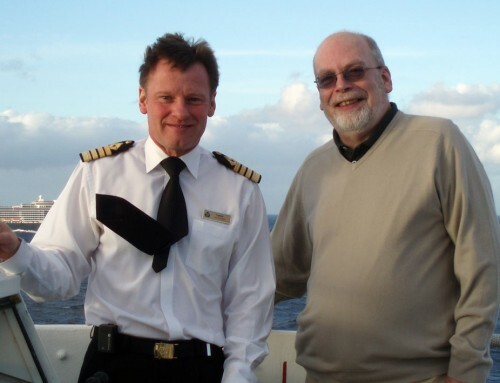 “We are creating a compelling experience for holidaymakers with innovative design, winning service, and appealing destinations around the world,” said Richard D. Fain, chairman and chief executive officer of parent company Royal Caribbean Cruises Ltd.
With the order for Quantum 3 in place, the company’s capital expenditure for this year is now £462m; in 2014 and 2015 it will be £800m per year, and in 2016, £1.4bn. The company says its passenger capacity will grow at 4 per cent each year – though 2016 will bring a substantial increase with the arrival of a third 6,000-passenger Oasis-class ship as well as Quantum 3. Quantum ships span 16 decks, measure 167,800 gross registered tons, and carry 4,180 guests at double occupancy in 2,090 staterooms.